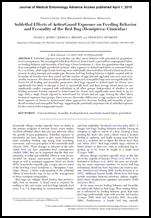 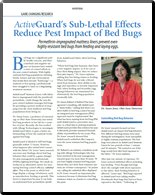 - During the National Pest Management Association’s PestWorld meeting in Baltimore in October, Latino, president of Allergy Technologies LLC, convened the “Bed Bug Prevention Think Tank,” a gathering for an honest, industry-wide discussion of creating guidelines for a proactive bed bug management program. 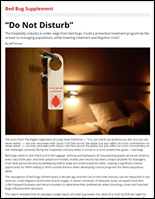 This approach would be a sea change from the industry’s current common model of reactive bed bug management and follow-up inspections, but Latino says he believes that there’s ample opportunity for this program to become a success. 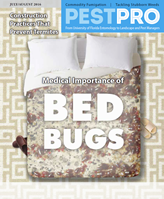 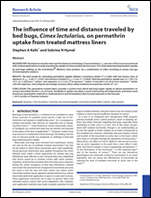 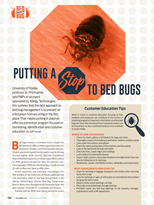 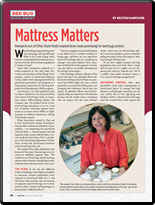 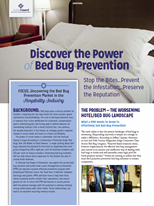 - In ‘Discover the Power of Prevention’, we explore the current bed bug situation and outline how a pest management professional (PMP) can execute a proven-effective prevention program with ActiveGuard Mattress Liners; the “best liner of defense” between bed bugs and guests.